Recently, the best way to fill out your Steam library has been through bundles from websites like Humble Bundle, Indie Royale and Bundle Stars . I picked up some of my most played games through bundles; The Binding of Isaac, FTL: Faster Than Light and even FEZ could have been picked up through bundles for as much or as little as you want to pay. And what’s better? You can choose how big of a percentage goes to charity. Sometimes, however, we pick up some games we’ve never heard of, the baby of the bundle. Some are boring, like Yumsters, some sound completely weird like 100% Orange juice, and some turn out to be diamonds in the rough! The baby of this week’s Indie Royale bundle was undoubtedly Flipper, a ”minimalist puzzle game” that really should not belong anywhere near PC gaming. Its market is for smartphones and tablets, a fact the developers already know from their description of “taps” as opposed to “clicks” when instructing players. So let’s ignore the mind numbing tedium of playing it on a PC in your spare time and let’s assume we’re playing it in the context that the developers imagined; you’re messing around on a tablet and it’s your lunch break. You will get the idea of Flipper straight away. 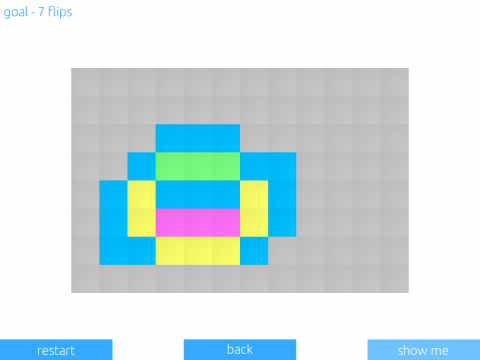 The aim is to recreate a shape that is displayed on the screen by flipping over some tiles. 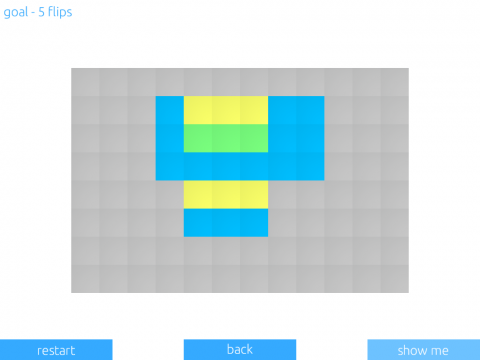 One flip turns the a 3×3 area of tiles blue, if you double flip they become yellow, and, as the levels progress, more colours are introduced which allows for ‘harder’ puzzles but “mind-boggling“ (as Just a Pixel describe it) it is not. You can breeze through the first 3 sections without really having to stop to think, and if you have nothing else to do you might find it passes the time and you may find yourself getting into it. The main problem with Flipper is the complexity, or rather the lack of it. The game remains so simple for such a long time that it provides no motivation to continue and offers no sense of progression. I barely want to keep playing it to see if I can manage the harder levels. Furthermore, there are only a few levels per stage so they can’t really ramp up the difficulty with enough incremental steps before they have to add another colour to the puzzle. The game does have a second mode, which, with a bit of tweaking, could become a very fun way to pass time. This is an against the clock mode where you have to click designated areas before the time runs out and this can be fun, even on a PC. It would work better as an endless mode with a leaderboard to give it an air of competition; competition makes even some of the most boring games fun for some people. I’ve seen this game described as art. Direct your eyes below. This is now what passes for art. Flipper is an okay puzzle game, with a high level of finish, if played on a tablet, but you’ll get very little enjoyment out of it on PC. If you are on a computer you’ll find something much, much more fun to play and you’re sure to find free flash games better than this. You can find it on Google Play for free and on Desura (here) for a hefty £2.99. 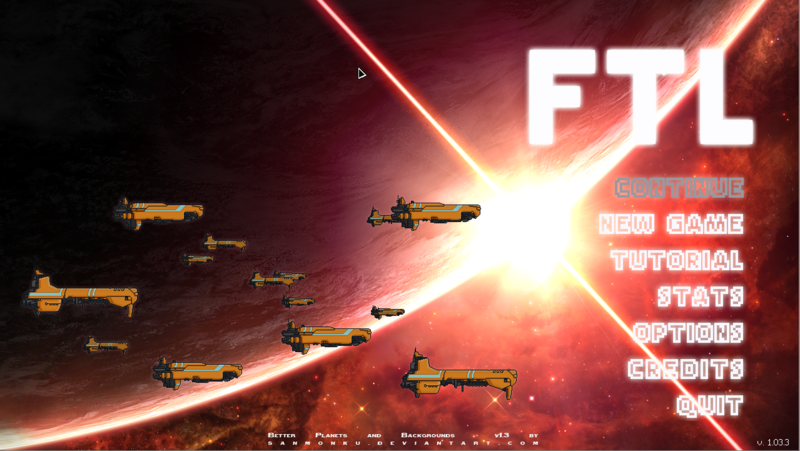 Faster than Light has been one of my favourite games since its release but recently I feel I’d played it too much. I didn’t have to read the events anymore, I just knew them. It wasn’t a challenge anymore, I just knew what I needed. I thought I was done with the game until I found a small modding community for it and the mods have really reignited my spark for this fantastic rougelike. You’re going to need to download python. It’s the language the mods are coded in. Go here and download the right one for your system. It’s a simple install so just click your way through it. Hopefully you managed that fine. 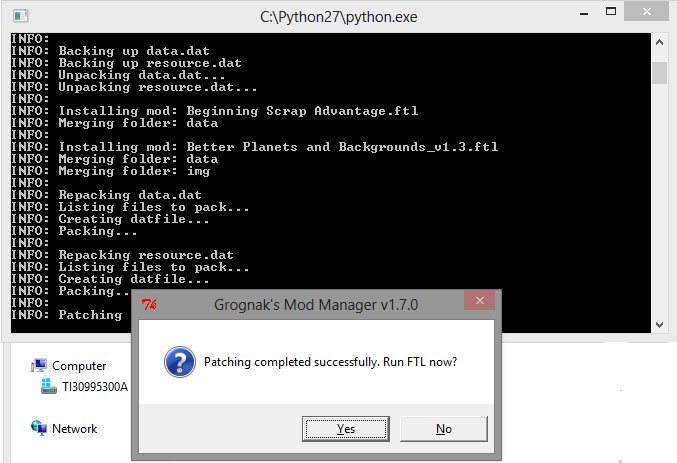 Now that you have the language you’re going to need a mod manager and Grognak’s mod manager is to FTL what Forge is to Minecraft. If you’re on windows you can find the download here and mac/linux can find their version here. You should use this time to give it a check and see if you can get it working. In the readme is says to open the .exe but that brings me errors. I can run it fine by opening main.py, so I suggest you do the same if the .exe doesn’t work. Now you’re all ready to install some mods! We just need to know where to find them. The best place to look is over at the official forum where there is a master list of all the mods. Choose the mods you want. I would recommend starting with a simple graphics mod to help you get the hang of it. I’ll be installing Better Planets and Backgrounds 1.3, which I found on the forums. 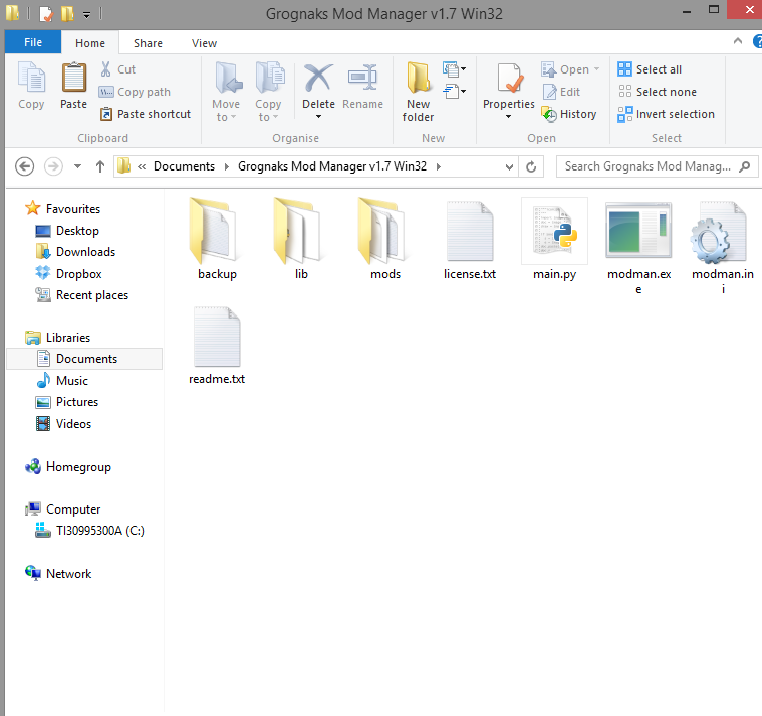 Once the mod(s) you want are downloaded locate the .zip files and copy them to where you saved your mod manager. Inside there is a mods folder, there should already be a mod in there called “Beginning scrap advantage. 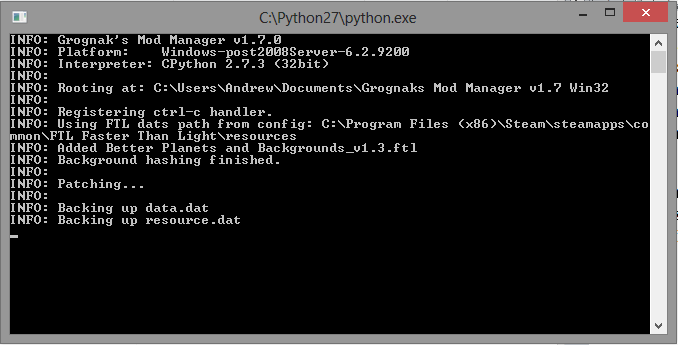 Put your zipped mod files in here and extract them, renaming the readme.txt’s when needed. It usually takes one to two minutes. Feel the excitement build and rush to click that YES button as quick as you can! The second installment of the Insidious franchise picks up where the first film left off. Revisiting the haunted Lambert family, the film deals with the aftermath of the family’s encounter with the dark spirit dimension known as The Further. Filled with nightmarish scenes and scary storytelling, Insidious: Chapter 2 does the rare thing and shapes up to outshine its predecessor. The film begins in 1986 when little Josh Lambert is troubled by ghostly apparitions. Josh’s mother Lorraine calls for help in the form of medium Elsie Rainier. In a bid to find out what is bothering Josh, Elsie and her assistant Carl interview Josh on camera. After witnessing the evil ghosts haunting Josh, Elsie proceeds to make Josh forget his terrifying ordeal. This scene explains more about Josh’s past and why the family actually know Elsie (something which was not explained much in the previous film) whilst setting out the backbone of the film’s main story. Scenes from Josh and Lorraine’s past are intertwined with scenes from the present, making the film seem halfway between a sequel and a prequel. This is done effectively, thus giving the film a richer storyline than the first instalment. Back in the present, Renai and Josh (Rose Byrne and Patrick Wilson) and their children are still being haunted. The piano keeps playing by itself and babywalkers keep being thrown around (here though, it seems the ghost is doing the family a favour in trying to break what genuinely appears to be the world’s most annoying object). Although these are fairly mild occurrences, the film escalates quickly; within around 15 minutes there are ghosts here there and everywhere. 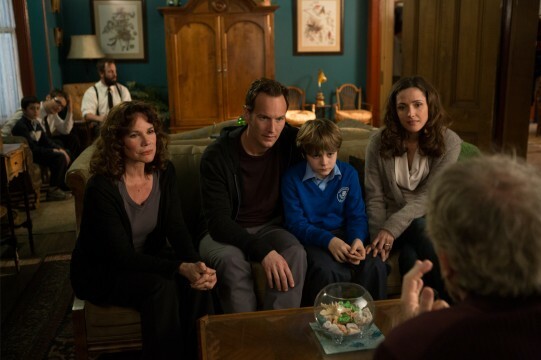 Horror films ­- especially of the supernatural genre – tend to build tension slowly, but Insidious: Chapter 2 seemed to have forgotten about pacing. This had a very strange effect on the film and the whole thing felt very rushed. There was no time for character development and thus characters such as Renai seemed much weaker than in the first film, whilst the character of Josh, who had a huge character development storyline, didn’t seem to be featured enough in the film, despite being the main character. Furthermore, the fast pacing of the film continued throughout, until I was sat thinking ‘this cannot be the end’ when the credits started rolling. There was not enough terror, struggle or danger, and the plot seems to skip straight from the family finding information out and investigating to the dramatic conclusion. Without a real beginning or a substantial middle, the purpose of Insidious: Chapter 2 seems to provide the drama and the conclusion that was missing from the previous film. Despite its more in-depth and explanatory nature, the film’s plot is far from flawless. The intertwining of past and present created effective character backstories, however, the whole time-travel spirit world dimension plot was a bit silly and nonsensical. With interwoven stories and time-travel spirit worlds to explain, the filmmakers appear to have assumed their film is more complicated than it actually is. This leads to amusing if somewhat patronising attempts at explaining the plot, particularly in the case of spirit man Carl (Steve Coulter) and his dice game which spells out (literally) the plot well after audiences have already worked out what is happening. This does let the film down slightly, though it does provide some unintentional laughs. On a similar note, there is a scene at the beginning of the film which just shows the last scene of the previous film. Whilst quite a useful recap for audiences, it still feels lazy and a tad amateur; like a ‘previously on Insidious’ feature which you find more often in TV shows. Unlike some horror franchises which favour portraying different characters in each film, such as the Paranormal Activity series, Insidious: Chapter 2 is strongly linked with the first film in the series. This by no means suggests that you must see the first in order to understand this film, nor does it mean that the sequel is any less enjoyable if you are not familiar with the original film. Although linked, this film feels very different from the previous one and perhaps a little more ‘mature’. Whilst the first film was all about the spirit world and mysterious demons, this film presents the story of Parker Crane; the frightening story of a child with an abusive mother who became a disturbed and terrifying killer. Insidious: Chapter 2 is slightly more grounded in real life terror, and the scenes involving the hospital and Parker Crane’s old house are particularly shocking. In addition to this, there was a welcome and refreshing decrease in the amount of ‘jumpscares’ featured, allowing more time for the exhibition of subtler, creepier scenes. The spirit searching duo Specs and Tucker (Leigh Whannell and Angus Sampson) return from the first film. Although at times they do provide a bit of comic relief, they are never exactly hilarious, and there are times when they are used inappropriately. At the climax of the film, dramatic scenes are accompanied by images of the hopeless, bungling antics of the duo. This creates a juxtaposition of horror and comedy; they sort of cancel each other out and thus the film’s climax falls a bit flat. Children who are in mortal danger if they stay in your house should not be left with a babysitter who will return them to your house later that same evening. It isn’t so easy to convince your child that the evil ghosts he sees are just bad dreams after he has just awoken from a lengthy coma in which he entered an evil, undead realm full of said ghosts. After repeatedly moving house to escape the ghosts, only to find that this doesn’t work and that the ghosts follow you, your best plan of action should not be to move house yet again. SUMMARY: Insidious: Chapter 2 is fast paced, scary entertainment. At times silly and with a few weak points, the creepy scenes and enjoyable, in-depth plot are enough to keep fans of the original film happy whilst attracting new fans to the franchise. If the previous film is anything to go by, the cliffhanger ending is sure to signify a third installment to the Insidious series, and until then we can only wonder what fate lies ahead for the haunted Lambert family. 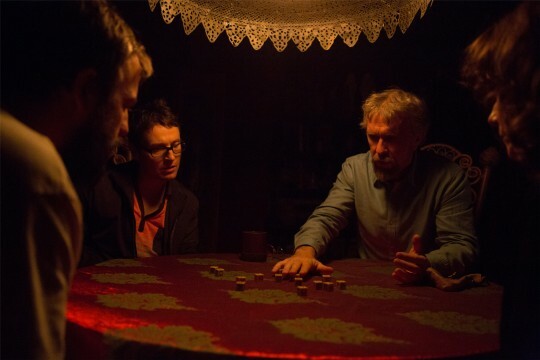 For more thrills, visit the official Insidious: Chapter 2 website at http://www.insidiousch2.com/.